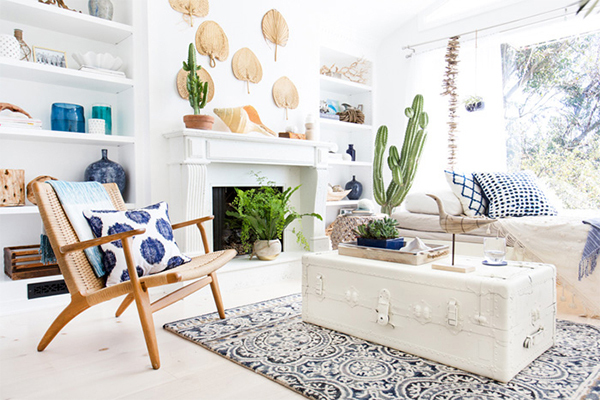 During the cold months of winter, a fireplace often becomes a focal décor element of a space. But, for those who live in warmer climates or have fireplaces that don’t actually work, there are still ways to utilize and highlight your fireplace as an architectural element. A non-functional fireplace can be styled to fit any type of space whether it be contemporary or traditional. You can use sleek lanterns to bring a modern edge to a fireplace or decorate it with candles to create a more cozy and intimate setting. Whatever concept you are trying to achieve in your own home, it can be done using some of the decorating tips below! 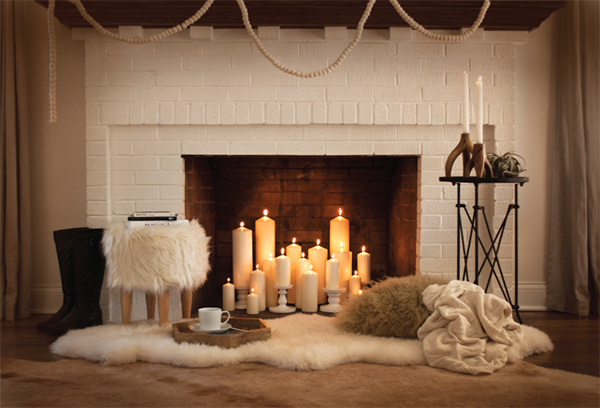 Filling a fireplace with candles instantly creates a cozy, comfortable and welcoming atmosphere. Layering different shapes of monochrome candles is chic and adds a subtle architectural element. Not to mention, burning candles create a beautiful, naturally dimmed light similar to the light traditional working fireplaces give off. To take an extra step, you can also put candles in lanterns in the fireplace to add more structure. Combining different shapes and sizes of similar vases makes an area look less calculated and more organic. 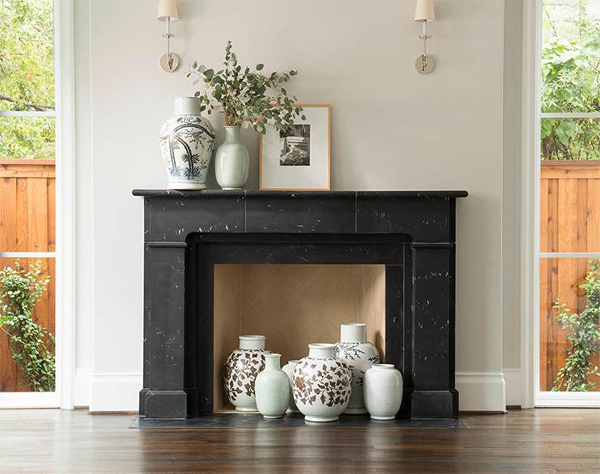 While the use of vases in a fireplace is unconventional, it creates a special elegance that usually the mantle of a fireplace would provide rather than the inside of a fireplace. If you want to keep with the traditional use of fireplaces, there are multiple ways wood can be used to fill the empty space. One way that always looks great is meticulously stacking logs to create a beautiful and natural architectural element. 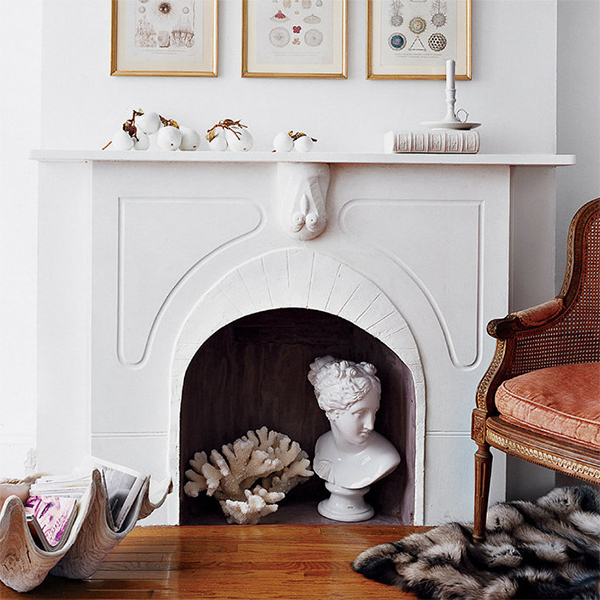 Putting a sculpture or piece of art in a fireplace space is completely unexpected. This is the perfect idea for someone with eclectic taste that isn’t afraid to take design risks. If you are up for the risk, the final design result is artistic and unique! 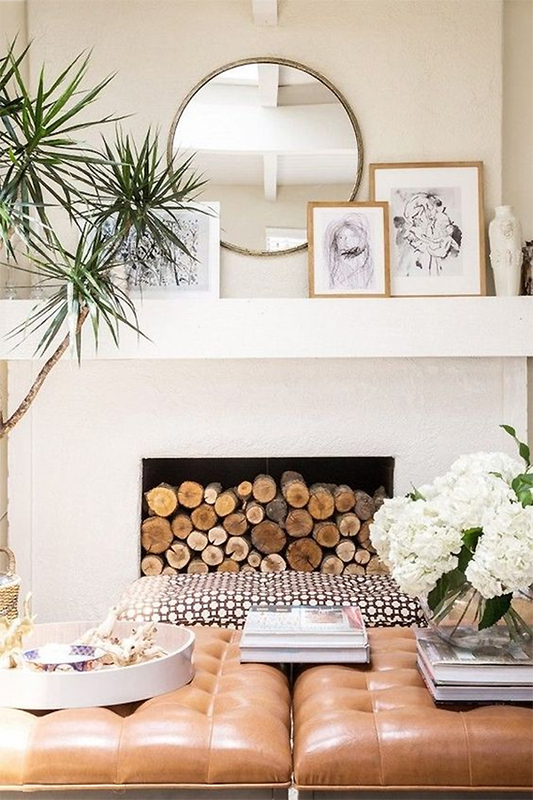 Adding a fresh floral arrangement or greenery is a quick and easy way to add a design element to an open fireplace. It is important to make sure the scale of the arrangement is large enough so it doesn’t get swallowed by the space of the open fireplace. For greens, you can combine an assortment of different sized plants. 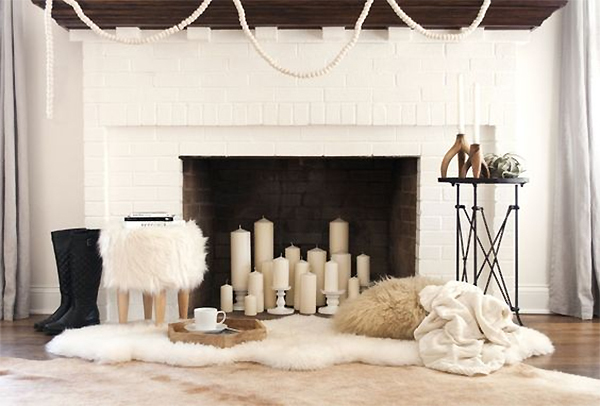 Which one of these fireplace decor ideas would you try? 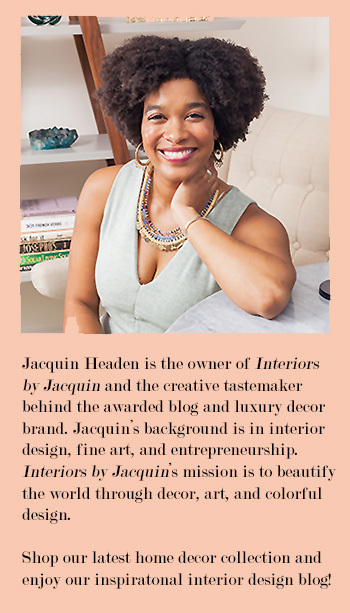 Article by Layne Wolfington, Interiors by Jacquin intern.